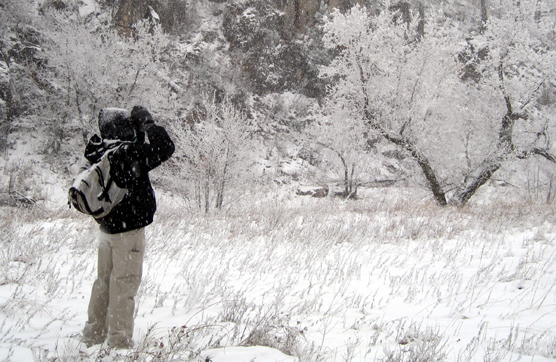 South Dakota’s Wind Cave National Park will kick off its holiday events on Sunday, December 15, with the park’s 18th annual Christmas Bird Count. The festivities continue the following Tuesday, December 17th, with the park’s holiday open house. The Christmas Bird Count is patterned after the National Audubon Society’s effort to document trends in wintering birdlife throughout the United States. The count area will include all of Wind Cave National Park, areas of the Black Hills National Forest as well as Custer State Park. 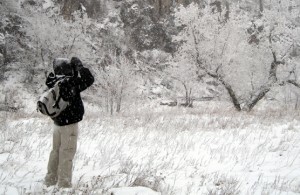 Anyone wishing to take part in the bird count should meet at the visitor center at 8:00 am. Participants are asked to dress warmly, bring a lunch, field guides, binoculars, and something to share in a potluck dinner. Watchers will return to the visitor center at 4:15 pm to compile results and share in a potluck dinner. For more information, contact Barb Muenchau or Dan Roddy at 745-4600. Two days later, the open house run from 1:00 pm until 4:00 pm at the visitor center. Light refreshments will be served, and students from the Hot Springs’ third grade will sing carols beginning around 1:15 pm. A Christmas tree in the visitor center will also be decorated by the students. During the open house, the public will be able to view park exhibits and browse through the visitor center’s bookstore which is operated by the Black Hills Parks and Forests Association. Cave tours will also be offered, as they are throughout the winter, at 10:00 am, 1:00 pm, and 3:00 pm. The visitor center and cave will be closed on Christmas and New Year’s Day to allow staff to celebrate the holidays with their families. Throughout the rest of the winter, the visitor center will be open daily from 8:00 am to 4:30 pm.